The number of swine flu cases is suspected to be on the rise in the national capital after two swine flu deaths occurred in a Delhi hospital. 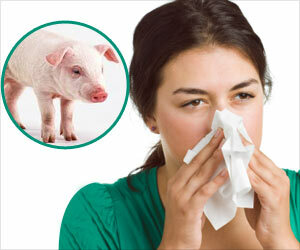 Since the symptoms of swine flu are similar to that of influenza, they are often misdiagnosed or ignored. Dry winter chills are said to be the primary cause for the upsurge in the number of swine flu cases. Patients showing symptoms and with any co-morbid conditions like diabetes, cancer, and kidney disorders should be very precautious. Speaking about this, Padma Shri Awardee, Dr KK Aggarwal, President, HCFI, said, "Swine flu presents with fever of more than 100 F with cough or sore throat in the absence of any other main cause. The diagnosis is confirmed with a lab test using rRT/PCR technique. Mild or uncomplicated flu or swine Flu is characterized by fever, cough, sore throat, nasal discharge, muscle pain, headache, chills, malaise and sometimes diarrhea and vomiting. There is no shortness of breath. In progressive swine flu, a person can also experience chest pain, increased respiratory rate, decreased oxygen in the blood, labored breathing in children, low blood pressure, confusion, altered mental status, severe dehydration and exacerbation of underlying asthma, renal failure, diabetes, heart failure, angina or COPD. Severe or complicated swine flu is characterized by respiratory failure, requirement of oxygen or ventilator, abnormal chest x-ray, inflammation of the brain, lowering of blood pressure to less than 60 and involvement of the heart muscle. These patients will have persistent high fever and other symptoms lasting more than three days." Tamiflu (oseltamivir phosphate) is the treatment of choice but it should be taken under medical supervision. It must be given in the first 48 hours. It is given in severely low patients, pregnant women, underlying organ disease or age less than 5 years. Adding further, Dr Aggarwal, who is also the Group Editor-in-Chief of IJCP, said, "Flu vaccine can be given to all. It should be given to all high-risk patients. The virus spreads through droplet infection and spreads with a person coughs, sneezes, sings or speaks. The virus can cover only a distance of 3 to 6 feet." 	The standard prevention is respiratory hygiene, cough etiquette and hand hygiene. Hand washing should be performed before and after every patient contact or infectious material and before putting and after removing gloves. 	Stay 3 feet away from the person who is coughing. 	Hand hygiene can be performed by washing with soap and water or with alcohol-based hand drops. If hands are visibly soiled, they should be washed with soap and water. 	Patients should be placed in a private room or area. The health care staff should wear a face mask while entering the patient's room. When leaving the room, the health care workers should remove the face mask, dispose it off and then perform hand hygiene. 	Patients should wear a surgical mask and should be aware of respiratory hygiene, cough etiquette and hand hygiene. 	Droplet precaution should be taken for seven days after illness onset or 24 hours after resolutions of fever and respiratory syndrome. 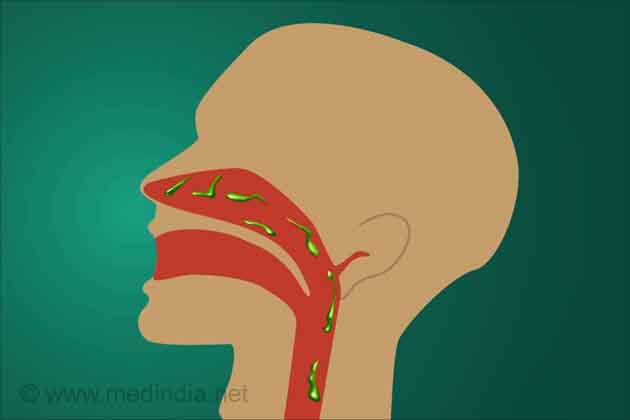 	One should not cough in the hands, handkerchief but instead cough either in the tissue paper and dispose it off or in the side of the arm. Pork is one of the most popular and widely consumed of all red meats but how healthy is it? Find out whether you can eat pork in any form. Your immune system has to be strong to fight the bacteria and viruses that enter the body and cause illness particularly during the cold and flu season. Learn how to boost your immunity by following these simple tips and home remedies.